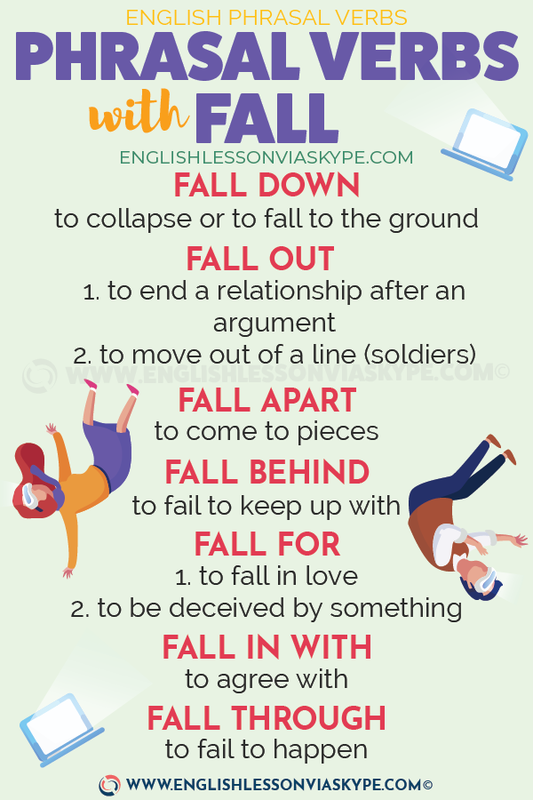 English verb TO FALL is short in letters but has many applications. Fall, fell and fallen are it’s three forms. I always fall in love with the wrong guys. He has fallen in love yet again. FALL DOWN – to collapse or to fall to the ground. He was not feeling very well and he collapsed or fell down. FALL OVER – to topple over. The wind was blowing very strongly and the bicycle fell over (toppled over) on to the ground. FALL APART– to go into pieces, to break up. I made a book shelf but when I put some books on it, it fell apart. I had forgotten to put in the nails!! FALL ABOUT – to laugh continuously. My friend has a great sense of humour and tells very funny stories. I always fall about laughing at him. So literally you cannot stop laughing as the stories are so funny. FALL FLAT (ON) – When someone hope you do not succeed at something or if you make a mistake and something turns out to be a disaster we can say: I hope he falls flat on his face or he fell flat on his face. 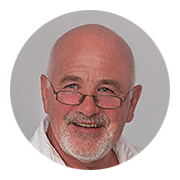 FALL OUT (WITH) – When we have an argument with a friend or family member and we do not talk to them for a long while we can say that “ we have fallen out with Mike”. He fell out with his cousin over an argument about who owned the bike. To fall on deaf ears – You make a suggestion that you believe is good but nobody agrees or takes up your suggestion. It fell on deaf ears. ex. Mike suggested that we advertise the new product on the internet as that is where everyone looks first these days. Nobody agreed and they advertised on the radio as they always did. His suggestion fell on deaf ears. mothers’ or fathers’ character we usually say “Well, it did not fall far from the tree”. John had a short (quick) temper and he got angry very quickly. His father reacted in the same way when he was young. His grandmother would always say “well it did not fall far from the tree your father was always the same at your age”. 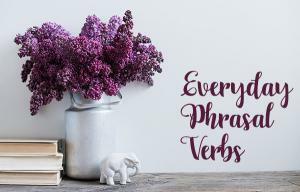 I also have a short video lesson for you about common phrasal verbs with FALL.